Step 1: Determine the shade of the shadow. More natural shades (like browns, taupes, and grays) will look softer; non-skin tone shades (like greens, blues, and plums) will look more apparent on the face. The choice is yours, but if you are a beginner, you might want to stick to medium-browns and taupes. 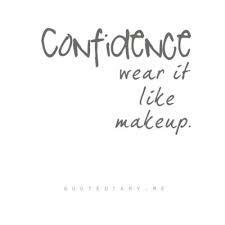 Consider your skin tone- if your skin is light, choose a lighter version of a shadow color (like a lighter plum); the deeper your skin, the darker you need to go (like an aubergine). A swatch test on the back of your hand will help you decide the best shade for you. Step 2: Choose texture: matte or shimmer. A light shimmer shadow is much easier to work with, as it will blend more subtly into the skin. Matte looks great, but require a little more skill. Step 3: Use the flat end of a small, double-ended shadow brush to apply a base shadow all over the lid area. Your base shadow should be a neutral, matte eye shadow that will act as a primer or foundation before you apply a colored eye shadow. It will help the color shadow grab on and stay put, and it will also neutralize your eyelids natural skin tone so the color of the shadow on your lid will more closely match it’s color in the pan. Step 4: Pick up a little of the colored shadow with the flat end of your double-sided eye shadow brush. 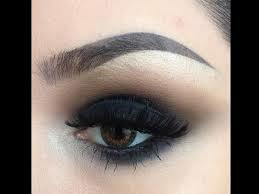 Blend the shadow from the upper lash line up into the crease to open and lift the eye. Step 5: Use the pointy end of the brush to apply the colored shadow to the lower lash line. 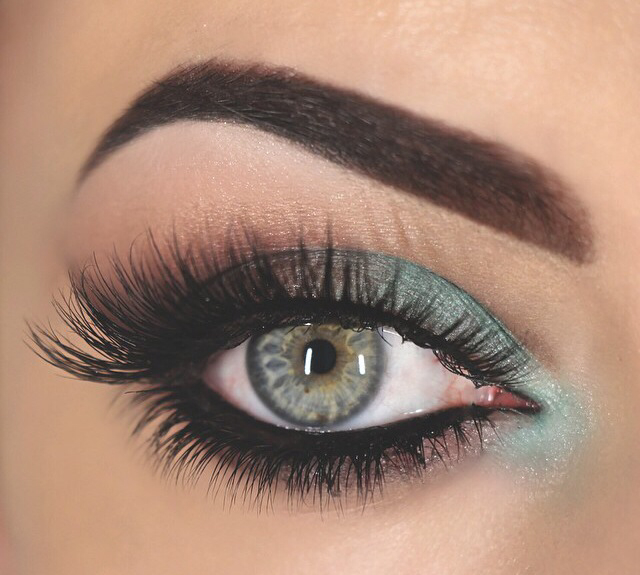 Begin your application in the center of the lower lash line, just below the iris. Move the brush slowly from side to side to give you more control in placement, so you can catch any over-shading. 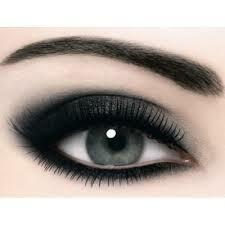 Smokey liner under the eye will make your eyes look bigger, but it can also exaggerate flaws like close-set eyes or droopy eyes, keep the line extra thin in the outer corners, widening in the center and toward the inner corners. Step 6: Experiment with the thickness of the line below the eye. If you get a hang-dog look, take a Q-Tip and lift up the line. Remember, the key is not to have a hard, solid line; the more smudged and broken the better. You can even take your finger and blend-smudge the line if it looks to solid. Once you have learned what placement works best for you, it’s a breeze. You can play with different colors, moving from soft taupes to subtle khakis. Step 7: If you prefer a little extra definition, use the pointy end of your double-sided brush to add a shadow on the top lash line. Choose a color that is a step darker than your lid color, but still within the same color family. Step 8: Always finish this look with generous helping of mascara on the top and bottom lashes or apply false lashes (they look great with smokey eyes). Previous postHow To Maintain A Shapely Brow! 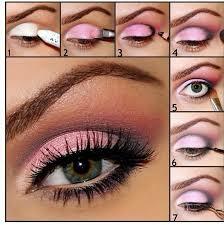 Next postHow to Apply False Eyelashes!! !